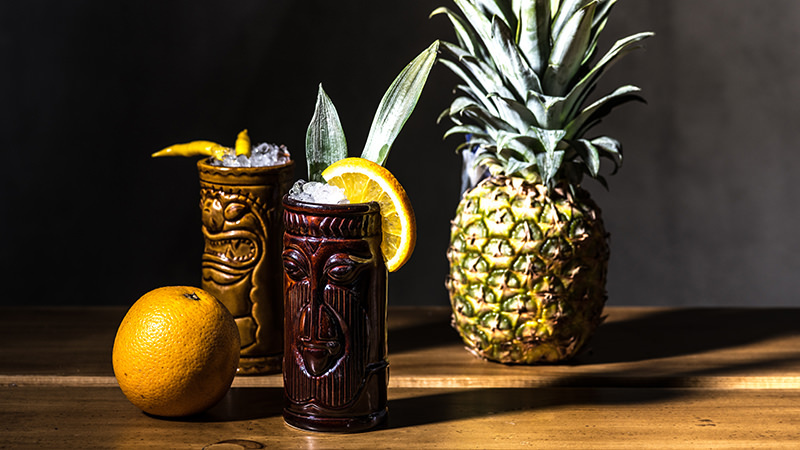 This Saturday just after 6:30pm on Dinner Classics we enter the wild and wonderful world of Tiki Cocktails. Cocktail Maestro Norm Owen tells us what they are, and offers a few recipes – one of which you can only make at home! You can use a tall glass, hurricane glass, or fun Tiki mug for any of these. Shake on ice until very cold, then strain and serve over crushed ice. Shake on ice until very cold, then strain and serve over crushed ice. Garnish with a dusting of nutmeg. This one’s a doozie — don’t try to order it at a bar, they aren’t allowed to serve it to you! Shake on ice until very cold. Strain and serve in a tall glass over crushed ice. Enjoy – and be careful!